A statement tattoo can speak your mind and serve as a reminder for you to do better. 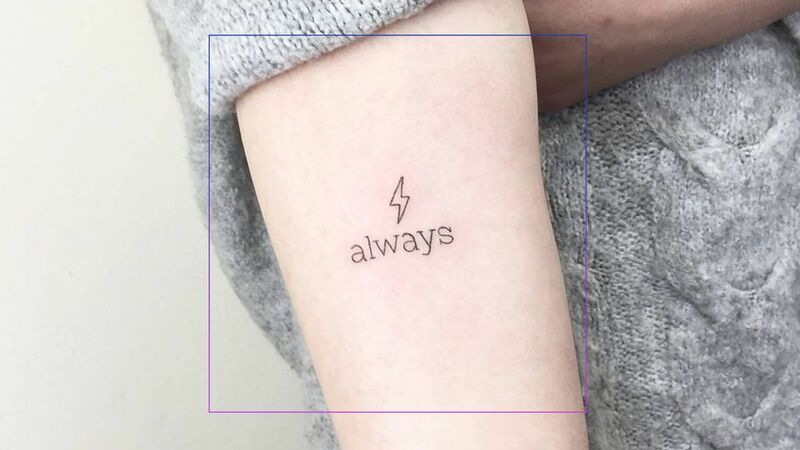 But if you're iffy about getting your body covered with a whole sentence, we found minimalist typography ink that may tickle your fancy. 1. Take a cue from the Madhatter in Alice in Wonderland. 2. Or maybe The Beatles? Well, this is a universal truth. 4. This Latin phrase means that one perceives all occurences in life—whether good or bad—have a purpose. 5. Who knew this word can look serene when written? 6. A gentle reminder telling you to dream big. 7. If you're losing motivation, this small tattoo will get you moving. 8. Talk to the hand 'cos the ears ain't listening. 9. This will prompt you to just get out of your comfort zone! 10. Although it's just a punctuation mark, it can speak volumes. The semi-colon is what writers use to continue a sentence when they could have just cut it with a period. This ink acts as a symbol of one's choice of continuing one's life amidst the struggle of suicide, depression, and anxiety.